1. New rules governing personal information will force changes in your email marketing strategy. Unlike most trends, this isn’t something that marketers can choose not to act on. What we’re talking about is Europe’s General Data Protection Regulations (GDPR), and it applies to all businesses that collect, process, use, retain, and delete personal information – including names and email addresses. So, if you’re engaging in email marketing, you’re subject to GDPR. If you’re part of the estimated 50% of global companies that are not ready for GDPR, you should be putting GDPR compliance at the very top of your to-do list. Of course, no one in business likes the idea of having to comply with regulations. That just adds to overhead expenses. But GDPR actually has a silver lining. 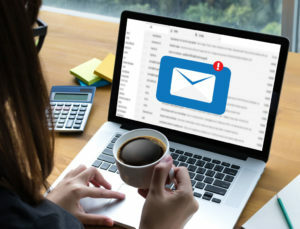 Because it’s intended to improve transparency and individual rights, the use of personal data by marketers will be handled with greater respect and this will have a positive effect on email campaigns. 2. Email “microsites” will be used to increase customer engagement and retention. In contrast to the tired old textual emails of years gone by, a mailable ‘microsite’ is an interactive email – like a mini-website contained within the body of an email. Interactive emails keep the inbox interesting and encourage the user to interact with the email within the inbox. Adopting this technique will help engage the recipient and improve customer retention. Forms and surveys that can be completed right in the inbox rather than clicking through to an online page. Social sharing options can make it easier for the reader to share content on their social pages. Gifs, videos, and animations can further engage users. Navigation bars in your emails can increase click-throughs and lead to higher conversions. Countdown clocks alert the recipient that time is running out on the sale price or other promotion you’re offering. Email microsites give your audience everything they need to stay engaged with minimal effort on their part. 3. Adopting a conversational tone will foster more personal interaction with the audience. In email writing, tone refers to the words and writing style the author uses to convey their attitude towards the topic and the reader. Tone is also defined as how the author feels about the topic and the reader. So the tone you use in your emails directly affects how your audience will respond. This is true whether you’re communicating with one person or ten thousand. A conversational email asks the reader a question, gets them thinking about that question, then gives them the answer that leads to the next question and eventually to your call-to-action. 4. AI and Machine learning will make segmentation and personalisation easier. The ideal email is the one that gets to the right individual. That sounds so simple but is so difficult to accomplish on a consistent basis. In the past, accurate segmentation and personalisation have been difficult to achieve because of the time it took to manually segment lists. By using a third-party AI-powered prediction system, like Jetlore, that plugs into your existing email service provider, you can provide a one-to-one experience for your email recipients, plus gain valuable insights and predictions of their behaviour. We encourage you to consider making some mid-year adjustments to your email marketing strategy. Even if you get in front of just one of the 4 trends outlined above, you’ll be ahead in the game. We also invite you to contact us today for more help with your digital marketing strategy.